In three separate incidents, livestock were killed and more than one of them butchered, in Sioux County, North Dakota, near the town of Cannon Ball, last week. Cows are also missing from the area. According to the North Dakota Stockmen's Association Chief Brand Inspector Stan Misek, the first livestock found included one dead saddle horse, and four dead cows, on the south side of the Cannonball River. These same operators also reported at least 30 head of mixed color cows missing. Brand information on the cattle is not being released to the public. The same day, Oct. 15, three bison were found dead on the north side of the Cannonball River, said Julie Ellingson, NDSA Executive Vice President. In both cases, some animals appeared to have been butchered, said Ellingson. Three days later, the owner of the dead horse and cows reported that two cows had been found shot on the same property – one with a small caliber firearm and one with multiple arrows. Both cows were living and being treated by a veterinarian. The next day, Oct. 19, another dead horse was reported by the same individual(s) who reported the first dead horse and cows. According to Misek, the NDSA, the group that handles brand inspecting and investigating for the state, is not releasing the names of the livestock owners or brand information about the livestock for safety reasons. All of the dead animals were found very near the campsites of the Dakota Access Pipeline protests. Ellingson stressed that NDSA is not accusing the protesters of any wrongdoing. "There is proximity to the camps. It could be coincidence. It is a matter of fact but that doesn't mean that they are to blame. We hope we can find out who is to blame," she said. It is unlikely that any of the cases were caused by careless hunters, she said. "It would be pretty ironic that so many of these animals would be killed so close together. One had multiple arrows in her." 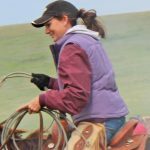 The NDSA has a standing reward of up to $14,000 for information leading to the arrest and conviction of any person stealing, butchering or shooting cattle, horses or mules in the state. Anyone with information about these cases should call NDSA Chief Brand Inspector Stan Misek at 701-223-2522 or 701-720- 2430 or Sioux County Sheriff Frank Landeis at 701-854-3481.